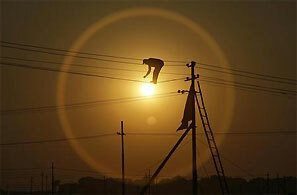 The Cabinet Committee on Investment (CCI) is likely to set the ball rolling for 28 stalled mega power projects, involving investments of Rs 1,72,000 crore (Rs 1,720 billion), on Monday. These projects, slated for discussion at the CCI meeting, are expected to get cleared. Though their real impact on growth might be visible only after a few years, these decisions would boost sentiment and help address the questions being raised about the government’s so-called lackadaisical approach towards big projects. Of the projects coming for discussion are those for 18 power plants — worth around Rs 82,000 crore (Rs 820 billion) — stuck over issues related to fuel supply agreements (FSAs). According to officials in the know, CCI is likely to ask for an undertaking from the coal ministry that these FSAs will be signed by August 31. “The coal ministry has shown its willingness,” an official said. The remaining 10 projects, in which investments worth Rs 92,000 crore (Rs 920 billion) have been stuck for reasons like delays in environmental go-ahead, are also likely to be approved for expeditious clearance. Through a Presidential directive to Coal India Ltd (CIL) last month, the government had asked the state-owned miner to sign FSAs for projects to be commissioned by March 2015 — with a capacity totalling 78,000 Mw. CIL has agreed to sign FSAs for 78,000-Mw capacity, instead of 60,678 Mw earlier. This includes 16,000-Mw projects that have not signed power-purchase agreements (PPAs) with procurers. CIL will sign FSAs with these stations but actual supply will begin only after PPAs are signed. CIL has already signed agreements with 92 power stations for a combined capacity of 42,000 Mw. As on July 20, new FSAs were to be signed to cover the remaining 18-20 projects, with a total capacity of 38,000 Mw — 27,000-Mw capacity awaiting long-term linkage and 11,000 Mw with tapering linkage and short-term supply meant for consumers with delayed production. Monday’s CCI meeting comes within days of Finance Minister P Chidambaram assuring representatives of foreign institutions and banks on the government expediting clearance for large projects. Besides allaying investors’ concerns over quantitative easing, current account deficit and fiscal deficit, the government is focusing on fast-tracking infrastructure projects. Financial Services Secretary Rajiv Takru had said nine projects were coming for final decision before the Cabinet within the next week. Power has often been cited as a major hindrance for economic growth to pick up in India. In July, the country’s manufacturing growth, according to Purchasing Managers’ Index (PMI), had slowed to 50.1 points — a level very close to contraction — from 50.3 the previous month. Power outages have been cited as one of the reasons for low manufacturing. Markit Economics, the financial information firm that compiles the PMI data, said that work backlogs had accumulated further in July, in line with scarce raw materials and power cuts. The firm had cited outages as a major factor for increasing backlogs the previous months, too. In May, when PMI had fallen to a 50-month low of 50.1 points, from a 17-month low of 51 points the previous month, the firm’s statement had said: “Power outages hampered output and led to a jump in backlogs of work, as businesses struggled to meet orders.” In June, growth in electricity generation, as measured by the Index of Industrial Production, remained flat. In the first quarter of the current financial year, it had risen 3.5 per cent from 6.4 per cent in the corresponding period of 2012-13. In the 11th Five-Year Plan (2007-08 to 2011-12), the government had set the target to add 78,700-Mw power capacity from all sources. However, the addition was just 54,964-Mw, almost 70 per cent short of target. The aim for the 12th Plan (2012-13 to 2016-17) is to add around 80,000 Mw of power capacity.